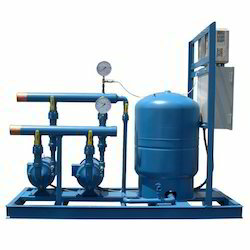 Prominent & Leading Manufacturer and Exporter from New Delhi, we offer Water Pressure Booster Systems such as Domestic Pressure Boosting System and Commercial Pressure Boosting System. 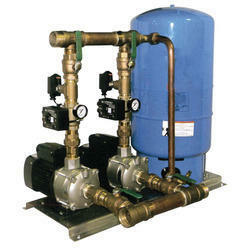 We have attained wide reputation in the market by providing best in class Water Pressure Booster Systems. Matching up to the diverse needs of our customers, we provide the best quality of Domestic Pressure Boosting System. Known for their consistent performance, these machines are used for cup sealing applications. Manufactured by using modern machinery and technology, our customers can avail these cup sealing machines in various technical specifications. Owing to perfection and quality oriented approach, we have carved the niche in the industry by offering an enormous grade array of Commercial Pressure Boosting System. The offered system is manufactured using high-grade components and advanced technology by our skilled professionals. To ensure quality, these systems are stringently tested on various parameters. Clients can avail these systems from us in different specifications as per their needs.